Brightkite has always been an interesting startup. They were in the location game early (a 2007 TechStars launch) — perhaps a bit too early, as the true hype in the space has only really began in the past year or so. Nevertheless, they were able to get an exit (well, sort of a merger/exit) in 2009. And they’ve been able to accumulate over 2 million users. And they’re still plugging away at location — but going forward, they’ll be doing that without two founders, Brady Becker and Martin May. May actually left a couple months ago, as Brightkite noted with a farewell post. But Becker has also left, we’re hearing. And his bio page seems to confirm this. And while they may be out of Brightkite, they’re not out of the location game, we’re also hearing. Becker’s LinkedIn also says that he’s currently the founder of Forkly.com (and YouAreHere), but gives no more info. May’s bio doesn’t say anything about Forkly, but he is the mayor of its headquarters in Denver (which apparently used to be a restaurant). 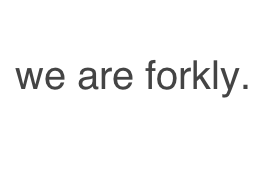 We’ll try to dig up more about Forkly. Stay tuned. 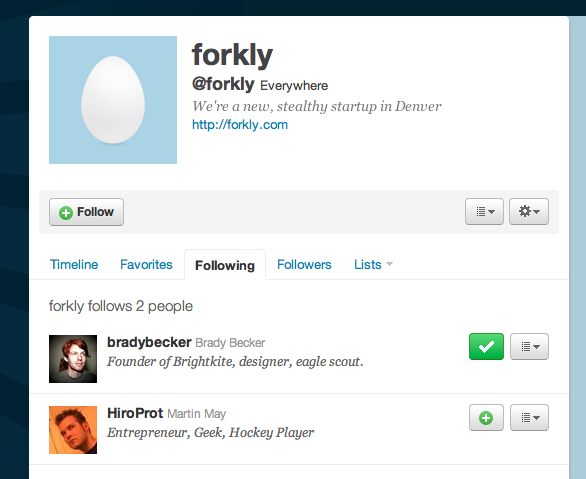 Update: I’ve just confirmed with Becker that he did recently leave Brightkite and that yes, Forkly is his new startup. He declined to give more information about it at this time.